Track Highlights: The Crave, Big Lip Blues. Jelly Roll's health was poor. His pockets empty. His belly loaded with whiskey. He was dyin'. If the women don't get you, the whiskey must!" Jelly Roll's last recordings for General label. "I have a subject of mutual benefit to discuss with you," wrote Jelly to Charles Smith. General Records had asked Jelly for an album of the old New Orleans favorites. "Jelly was extremely ill," writes Mr. Smith, "and we used as many as four waxes on certain sides." The stand-out side, of course, was Mamies Blues, which, everyone agreed, was not "commercial." Nevertheless it has kept the album in print ever since, and has been called the most beautiful of all jazz piano records. When General went on to make some "commercials" with a swing band composed of Henry Allen trumpet, Joe Britten trombone, Albert Nicholas clarinet, Eddie Williams alto sax, Welman Braud bass, Zutie Singleton drams, and Jelly Roll piano, the records died fast. The set starts with The Crave, one of those melancholic moments of Jelly Roll, a great combination of poetry and piano. Then comes The Naked Dance , a stride/ragtime kind of fast tempo solo on keyboards, executed perfectly by Morton.There is Buddy Bolden's Blues, an homage to trumpet master of New Orleans and we can add it to the small catalog of jazz tributes to Bolden like Hey, Buddy Bolden in Ellington's The Drum is a Woman LP, and also a reinterpretation of Ellington piece by Nina Simone. Again, Jelly Roll's Thought I Heard Buddy Bolden Say and Sidney Buddy Bolden Stomp and Buddy Bolden Story. After you listened to superb trumpet solo of "Red" Allen on Big Lip Blues, then dig Mamie's Blues. "This is the first blues I ever heard in my life," that's Jelly's own introduction to the tune. As Spring of 1941 came to Los Angeles, Jerry Roll's death came along and closed and locked the keyboard. He was in the middle of planning his next recording session of New Orleans music, but that was the end. 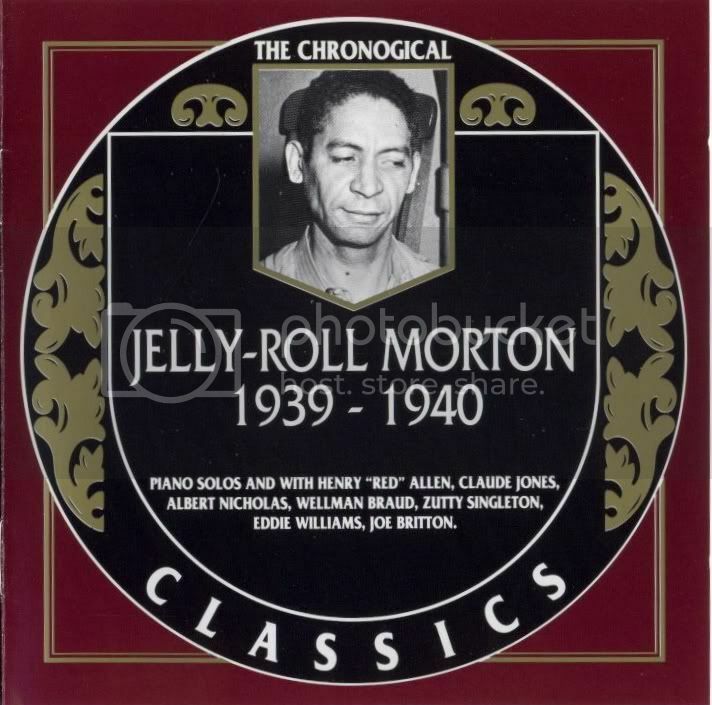 Jelly-Roll Morton (p,voc)/Henry "Red" Allen(t)/Joe Britton(tb)/Albert Nicholas(cl)/Eddie Williams(altosax)/Wellman Braud(b)/Zuny Singleton(d). Jelly-Roll Morton (p,voc)/Henry "Red" Allen(t)/Albert Nicholas(cl)/Eddie Williams(altosax)/Wellman Braud(b)/Zuny Singleton(d). 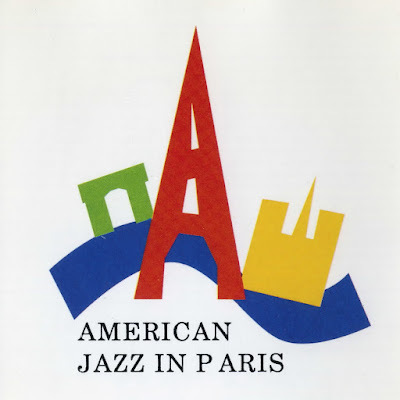 Jelly-Roll Morton (p,voc)/Henry "Red" Allen(t)/Claude Jones(tb)/Albert Nicholas(cl)/Eddie Williams(altosax)/Wellman Braud(b)/Zuny Singleton(d).